Our instructors are all Driving Standards Agency registered. They will always be patient, and easy to talk to, if you have any questions or worries then please talk to our instructors. They all abide by the DSA Code of Practice, which ensures the highest possible levels of instruction and behaviour. Also they are all CRB checked. Learning to drive is a partnership between a good instructor and a student receptive to learn. We believe constant feedback is vital and your instructor will keep you informed on your progress regularly. This includes the use of progress charts. 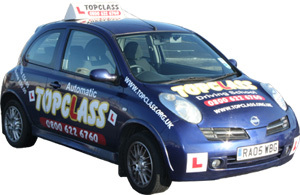 You will get the undivided attention of your instructor as we only provide individual tuition and unlike some of our competitors, our instructors do not take endless mobile phone calls during YOUR time. If at any time you are not satisfied with the way you feel things are going please ring the office. We will try and remedy the problem, maybe a change of instructor will make things work for you. After all, not all types of personalities can get on. As our primary aim is to assist you to become a safe driver your original instructor will not be offended, they may even suggest it as a good option. We understand how hectic life can be these days. To try and make your learning more convenient, we will pick you up from one location and end at a different one if required.